Speedhut calls for a pre-order (of sorts) of 25 orders before they will go through the process of making the gauges. Soo how many 2.5G coupes want new gauges? We need 23 more people, so if your interested, add your name down. This has been tried before but I can't find the thread Good luck...I may be interested when I see how many people sign up. Ya, I saw the thread. Figured i'd see if there are enough people out there that want them, perhaps we could get this to work out. There isn't anyone besides me and DGJO4RT who are interested? Most of the traffic on this site died about 3 years ago. Good Luck on getting 25 active members to sign up. Pay $100 to never have my gas gauge needle be correct? No I'll pass. $100 bucks? not worth it. 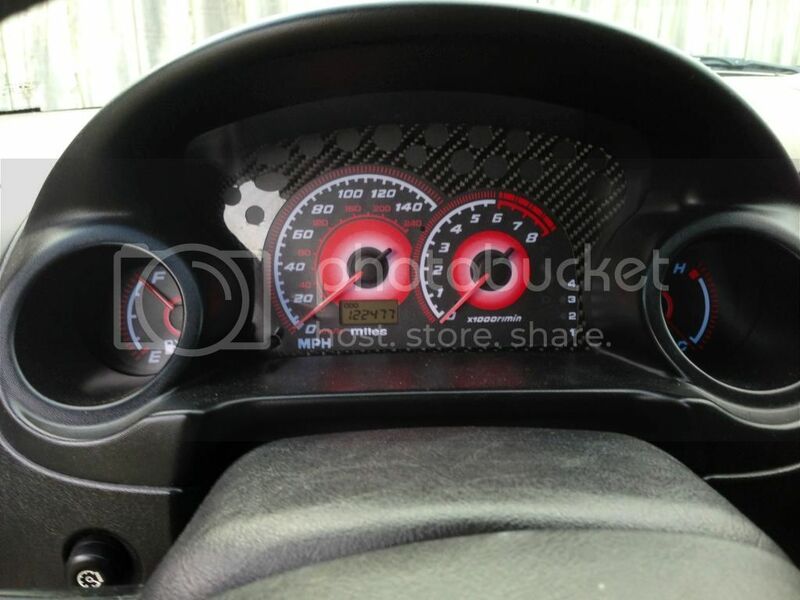 you can just buy a sebring gauge cluster for that price and make it look better that way. the sebring cluster was better than the stratus cluster for 2.5g's. reverse glow. blue. send it my wayy. it was something i wanted to do to my stratus before i traded it in, but i never got to it. too pricey, but nice. just use a sharpy. I'd be interested, but looks like a 23 member sign up wouldn't be attainable in the near future. What's with the lack of activity on this site anyway? It also doesn't help that the 2.5g stratus doesn't have the same gauge cluster as any of the 3g eclipses so this would need a lot of people with strats to be interested. I've had an account over there for awhile as well, I just don't post as much. And it doesn't help that the 2.5g isn't that common either! Oh well.... Guess I have to teach myself how to solder! I'd rather not experiment/learn on my own stuff though. From what I've heard, the desoldering and getting the leds out from a 2.5g is the hard part. I know eBay isn't really the way to go, but the color matches my car perfectly and look even nicer at night. Just an option for $60. You can do a simple LED swap on your gauge cluster and other interior lighting because you've got an 01. Have already LED swapped interior lighting, im happy with my gauge cluster IMO, but i still need to swap out the cubby hole light and ones by your feet behind the dash. Is it possible you know the bulb sizes for these? Yes, i have googled to try and find out the bulb size for the cubby hole light and no dice. My guess is it's the same as the 2 in the backseat.